The Shadow Chancellor Ed Balls said the party could not afford to be painted as against letting people have their say and it would be “stupid” to rule out a referendum on Europe. He said Labour should be arguing for reform in Brussels without being against a referendum in principle. Mr Balls’s remarks came as David Cameron today attacked Labour’s position on a future referendum. He said leader Ed Miliband could not criticise him for creating “uncertainty” – without saying if Labour was in favour of a poll or not. He said such a move would put “Britain through years of uncertainty and take a huge gamble with the economy”. A Labour source said it was “ridiculous” to suggest there was a difference between Mr Miliband and Mr Balls’s remarks. Prime Minister David Cameron rejected on Wednesday a proposal by the Scottish National Party (SNP) that the United Kingdom should only quit the European Union after a future referendum if a majority in each of its four constituent parts vote to do so. Cameron has promised a referendum in 2017 on Britain’s continued EU membership if his Conservative Party, which has grown increasingly Eurosceptical, wins a 2015 national election. Incoming SNP leader Nicola Sturgeon said earlier on Wednesday the United Kingdom’s EU exit should only go ahead if approved by majorities in Scotland, Wales and Northern Ireland as well as in England, home to 85 percent of the UK population. “We are one United Kingdom. There will be one in/out referendum (for the EU) and that will be decided on a majority of those who vote. That is how the rules should work,” Cameron told the Westminster-based UK parliament in response to Sturgeon’s proposal. Scotland, Wales and Northern Ireland have varying degrees of autonomy but the British government in London controls foreign policy and is not legally required to consult the regional administrations over issues such as EU membership. However, the SNP criticised the stance, saying that London’s promises of real constitutional change after Scots rejected independence were being broken. “This knee-jerk rejection by the Prime Minister to a perfectly reasonable and balanced proposal to reflect Scotland’s interests in Europe flies in the face of what he and the No campaign promised during the independence referendum,” said Pete Wishart, an SNP member of the British parliament. Polls show that Scots, are more likely to back EU membership than the English. The SNP have said that they are not seeking another referendum on Scottish independence, but that this depends on circumstances such as continued EU membership. Britain’s opposition Labour Party came under pressure to offer voters a membership referendum on leaving the European Union on Wednesday after a senior official quit over the issue and a major donor prepared to call for a policy U-turn. Unlike Conservative Prime Minister David Cameron, Labour has resisted offering such a referendum in the run-up to a close May 7 national vote, arguing it would hang a “closed for business” sign over Britain and that an EU exit would be disastrous. It has said it would only offer a referendum if it deemed there was a substantial further shift of powers from London to Brussels, something that’s neither imminent nor likely. But some in the left-wing party, parts of which have a tradition of Euroscepticism, argue it’s undemocratic to deprive voters of a say on something polls show many feel uneasy about. There’s also disquiet — from a tactical viewpoint less than three months before the election — that Cameron’s Conservatives are the only ones offering to renegotiate Britain’s EU ties before holding such a referendum if re-elected. On Wednesday, a former head of Labour’s ruling body, the National Executive Committee, said she was leaving the party and switching her support to the anti-EU UK Independence Party (UKIP) because she was “disillusioned” by its Europe stance. Her resignation came as a major Labour donor prepared to urge Ed Miliband, the party’s leader, to commit to hold a referendum. “If Ed Miliband becomes prime minister in May and renegotiates without committing to a referendum, he will inevitably weaken the UK’s bargaining position,” businessman John Mills, who donated 1.65 million pounds to Labour in 2013, will tell a conference in London. Gordon Brown has warned that those in favour of the UK’s membership of the European Union are running the risk of losing an referendum on the issue. In an article for this morning’s Guardian, he writes that Eurosceptics are using the same tactics of the pro-independence campaign in the Scottish referendum, which was closer than many predicted. “A poll that started off as a contest between two patriotic visions of Scotland’s future – one inside Britain one outside – descended into a choice: are you for Scotland or against Scotland? Thousands were persuaded that a yes vote was the only way to show themselves to be patriotic Scots. It is interesting that the premise of Brown’s piece seems to be an acceptance that an EU referendum is, if not inevitable, then at least likely. This would be at odds with Labour policy, as the party is heading into the election with a firm opposition to a referendum. He is not the first major Labour figure to lend his support and advice to the pro-EU cause; Better Together chair Alistair Darling said on announcing his retirement from the Commons that he wanted to be more active campaigning for EU membership, while Alan Johnson is understood to share similar sentiments from inside Parliament. 31 January 2015: What are we going to do about the EU? It would be reasonable to expect that austerity measures would be top of the 2015 GE agenda but the truth is that there is little difference between the big Westminster parties on austerity. Sure the Conservatives are looking to claim Labour will raise the deficit with un-costed policies, but Labour also seem to be keen to show themselves as strong on the economy by denying that they will tax and spend. Normally the parties would look for a unique selling point such as the SNP’s “Stronger for Scotland” but the Westminster parties have no substantial points of difference on key policies. The exception being UKIP, the party that David Cameron really has to beat to win a majority, and that is why the UK General Election arguments will largely focus on the EU. Last year Ipsos – Mori stated that 53% of Scots would vote to stay in the EU and 34% to leave, and Survation found that Scots were 5% less likely to support leaving the EU than the average for the rest of the UK. I believe that if Labour doesn’t also offer a referendum on EU membership they won’t win outright, so I predict that regardless of who wins in May we will have an EU referendum. That support for EU membership will rise in Scotland, especially given the SNP Government’s popularity and its full on commitment to EU membership, and that the rest of the UK will, through UKIP’s influence, move towards the exit door but it is too tight to call. Scottish Conservatives leader Ruth Davidson said she was strongly against a second referendum in a hastily arranged speech outside her party’s headquarters following Sturgeon’s address. Davidson said: “I do not believe a second independence referendum will help us achieve that stability nor is it in the best interests of Scotland. “The 1.6 million votes cast in this referendum in favour of Remain do not wipe away the two million No votes that we cast less than two years ago. “Also, we do not address the challenges of leaving the European Union by leaving our own union of nations, our biggest market and our closest friends. I believe in Scotland’s place within the United Kingdom today as much as ever. 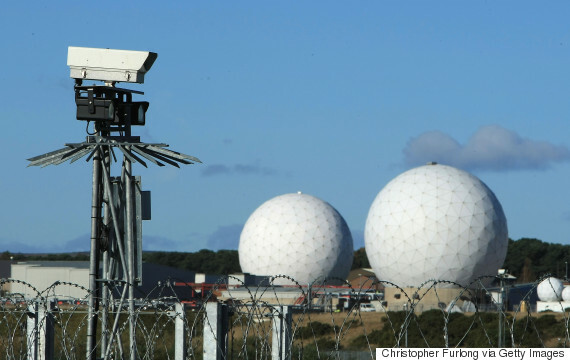 25 June 2013: Is ‘The Five Eyes Alliance’ Conspiring to Spy on You? Did you know that the United States, Canada, Britain, Australia, and New Zealand participate together in an electronic eavesdropping cooperative called “The Five Eyes Alliance”? Or that Britain “has secretly gained access to the network of cables which carry the world’s phone calls and internet traffic and has started to process vast streams of sensitive personal information which it is sharing with its American partner, the National Security Agency”? That’s big news, right! The British government taps into the cables carrying the world’s web traffic at will and spy on what people are doing on some of the world’s most popular social media sites, including YouTube, all without the knowledge or consent of the companies. SPOOKS have changed top-secret rules so they are free to spy on MSPs. Explosive documents show that the UK’s electronic eavesdropping agency last month dumped guidelines which had constrained spies from tapping MSPs’ phones or hacking their emails. The revelations about GCHQ will spark fury at Holyrood and reignite conspiracy theories about the role of the security services in fighting the growth of pro-independence feeling. They are also likely to bolster fears the intelligence community were monitoring politicians’ and activists’ communications during the referendum campaign. The fact that the change to existing guidelines was made in the aftermath of the September 18 vote might be viewed as an action taken to cover previous activities. Internal policy documents obtained by the Record show GCHQ – responsible for mass surveillance in Britain – had extended the decades-old Wilson doctrine to MSPs until March of this year. The convention is named after former prime minister Harold Wilson, who pledged in 1966 that MPs’ and peers’ phones would not be tapped. In December 1997, then PM Tony Blair said it extended to electronic communication, including emails. However, the policy was never officially extended to cover the devolved parliaments in Scotland, Wales and Northern Ireland once they were set up in 1999. And while GCHQ said it had voluntarily treated MSPs in the same way as MPs until March this year, it can be revealed that they have now changed the policy so MSPs are no longer included. In 2013, the late independent MSP Margo Macdonald asked the head of MI5 for assurances that the UK security services would stay out of the Scottish independence referendum. It is not known what response she received but in an interview at the time, she said she believed the SNP and the Yes campaign had been infiltrated by the intelligence services. Details of how the UK spooks are free to spy on MSPs emerged as the UK’s most secretive court began a rare public hearing. It will examine what legal protections are in place to stop interception of elected politicians’ communications by the intelligence community. The hearing of the Investigatory Powers Tribunal in London confirmed the emails and phone calls of MPs and members of the Lords should be protected by Wilson. But MSPs – along with members of other devolved assemblies and the European Parliament – have no legal protection. The pair are representing Green Party politicians Caroline Lucas and Lady Jones, who claim disclosures by whistleblower Edward Snowden made it clear GCHQ was capturing their communications – in breach of the Wilson agreement. 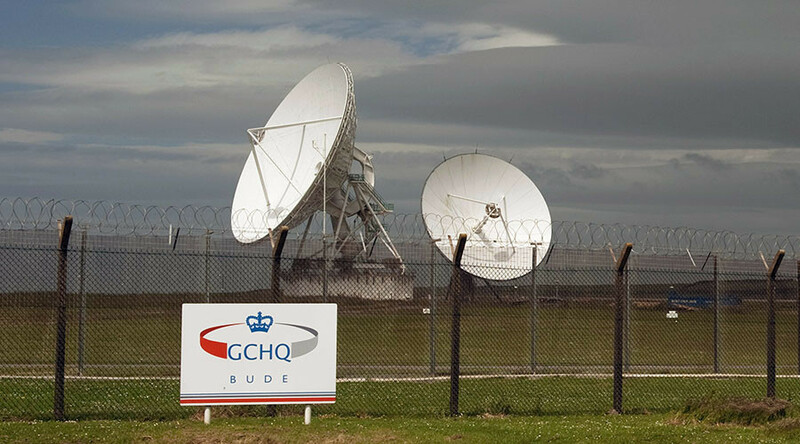 GCHQ is legally allowed to collect and read the private communications of MSPs, MPs and Lords, a court has ruled, overruling a decades old rule which forbade snooping on Westminster politicians. Established by former Labour Prime Minister Harold Wilson in 1966, the rule forbids the interception of communications between MPs and their constituents by police or intelligence agencies. It came in response to complaints from MPs who were concerned their telephones were being tapped by security services. Home Secretary Theresa May recently assured MPs that the decades-old convention remained in force. “This judgement is a body-blow for parliamentary democracy. My constituents have a right to know that their communications with me aren’t subject to blanket surveillance – yet this ruling suggests that they have no such protection,” said Lucas. In a judgement last week, the court ruled that the Hungarian government had violated article 8 of the European Convention on Human Rights (the right to privacy) due to its failure to include “sufficiently precise, effective and comprehensive” measures that would limit surveillance to only people it suspected of crimes. Under a section of the 2011 National Security Act, a minister of the government is able to approve a police request to search people’s houses, mail, phones and laptops if they are seeking to protect national security. The Tory government is not a big fan of the court, having previously complained that it is interfering in national issues, as it did when it found that the UK government’s effort to extradite convicted terrorist Abu Qatada to Jordan was a violation of human rights, as he would be unlikely to get a fair trial. In the end, the UK and Jordan agreed to a treaty that meant information extracted from him under torture could not be used in a trial (shortly after he was deported to Jordan and put on trial, found not guilty and released from jail in September 2014). Complete waste of many hundreds of thousands of pounds by the UK government. As such, the ECHR’s rulings have been shown to have a direct and significant impact on the behaviour of countries within the European Union.